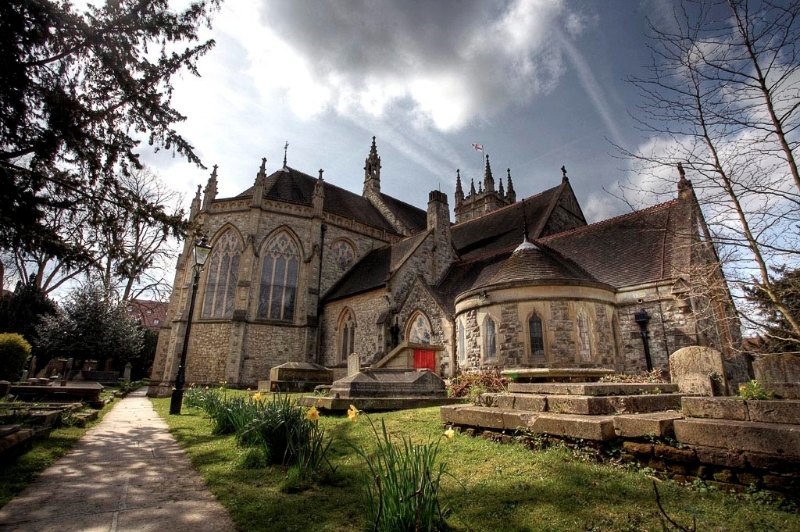 Our concerts are held at the beautiful church of St. George’s Beckenham Kent. 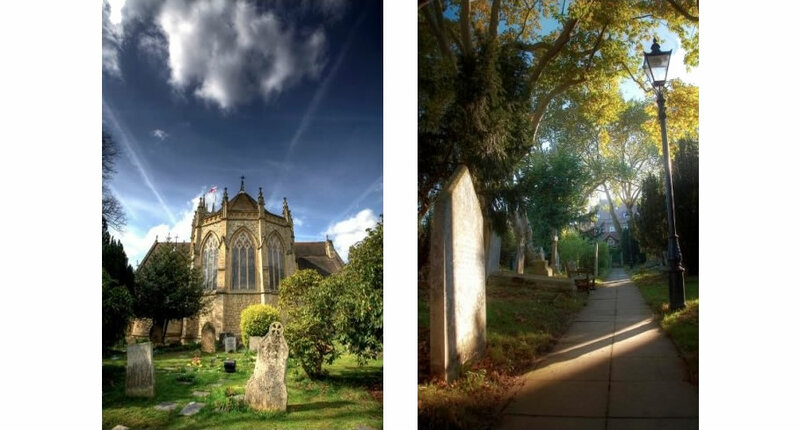 Set in the heart of the town at the corner of the High Street and Bromley Road and next to Beckenham Green St. George’s is the Church of England parish church of Beckenham and is one of the few parish churches open throughout the day. It is known that a church existed on the site before 1100 although no reference is made to a church in Beckenham in the Domesday Survey of 1086. The Church Register is among the oldest in the country, dating back to 1538 when Parish Registers were first ordered to be kept. The tower of the current building, a magnificent Victorian church of Kentish ragstone with ashlar dressing designed by local architect W. Gibbs Bartleet, is the focal point of the High Street. The previous church, generally supposed to have been built in the reign of Edward III, was subsequently galleried at the West end to increase capacity and had an oak shingled spire which was struck by lightning on 23rd December 1790 setting a fire which destroyed the spire and part of the church. The present church was built in four main stages over a period of 18 years around the old building, and we are told that not a single service had to be cancelled during the whole of the work. Work started in 1885 with the first stage, which included the North and South Transepts, part of the Nave, the Vestry, Organ Chamber, Chancel and Chapel, being completed in 1886. A second stage was begun in 1887 when the remainder of the Nave, the North and South Aisles, the Porch and part of the Tower were added; and in 1890 the Choir Vestry was built. The church was not completed until 1903 when, following completion of the tower the previous year, its 8 bells were recast, re-hung and dedicated by the then Archbishop of Canterbury Dr. Randall Thomas Davidson (1903 – 1928). Two additional bells were added in 1934, the gift of the Beckenham Branch of the Ancient Order of Foresters, making a peal of ten bells. The church was damaged by enemy bombing during the Second World War when nearly all its stained glass was lost. 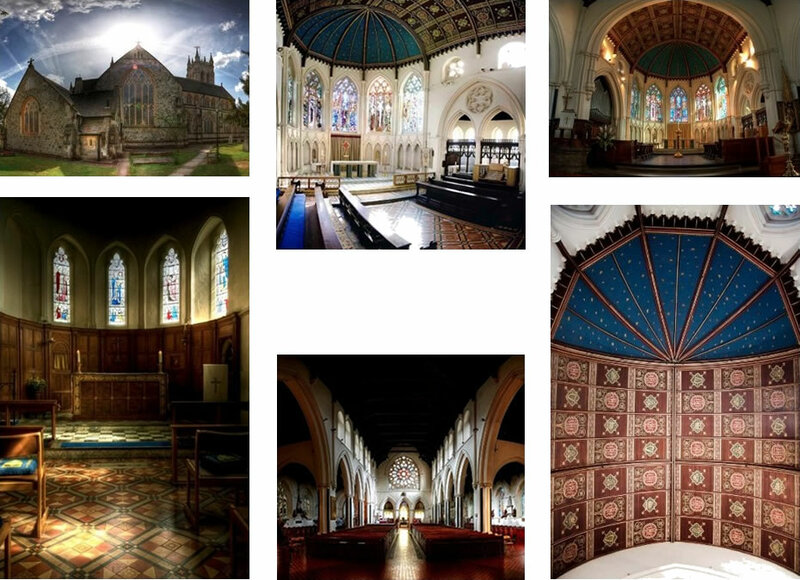 Much of the stained glass is 20th Century and was created by Thomas Freeth local artist and Art Master at St. Dunstan’s College Catford. The Lych (or Lich) Gate is believed to date back to the 13th century and to be one of the oldest in the Country, a relic of the old village days. It is rumoured that ‘watchers’ concealed themselves in the beams of the Lych Gate while lying in wait for body snatchers. A look round at the tablets and monuments, many of which are of outstanding quality, relocated from the medieval church and the tombstones and vaults in the churchyard, will recall the families who lived in the village and surrounding countryside and those of historical note who are laid to rest within the church precincts. All photos by courtesy of David Yiu.